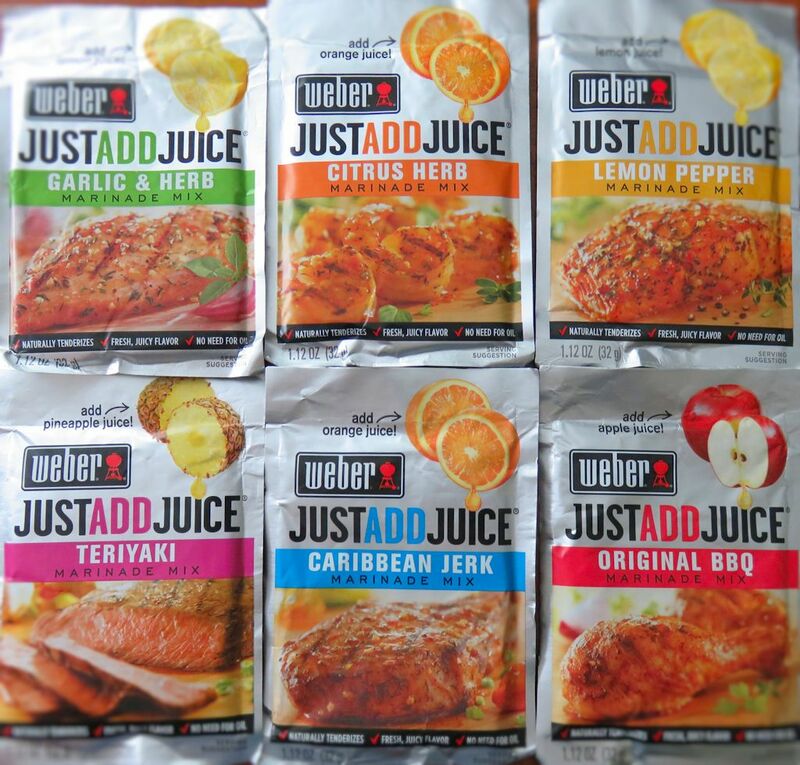 Weber has a line of marinade mixes that you add juice to that are really, really good. And they’re perfect for flavoring chicken before cooking it on the Char-Broil Big Easy. I picked up a package of each and used them to marinate my favorite, split chicken breasts. The garlic and herb marinade is mixed with lemon juice to produce wonderfully seasoned chicken. A hint of garlic, a hint of lemon, and a mix of earthy herbs. Since the Big Easy cooks at a high temperature you do have to watch that your chicken doesn’t char. One way to help prevent that is to not use marinades containing substances that might burn, like sugar or honey. The other is to rinse the chicken before cooking. Now, you’re going to lose a bit of flavor doing that, but if like me you’re going to remove the skin before eating, it really doesn’t make that big of a difference. Weber makes all sorts of great flavored Just Add Juice marinades. I’ve also made chicken marinaded in their fantastic citrus herb marinade. Note: I prefer to rinse the marinade off the outside of the chicken since it will tend to burn. The meat has already absorbed the flavors of the marinade. This entry was posted in From the Char-Broil The Big Easy™ and tagged char-broil big easy, chicken, garlic and herb chicken, Garlic and Herb Marinaded Chicken on the Char-Broil Big Easy, recipe, roasted chicken, Weber Just Add Juice marinade by Mike. Bookmark the permalink.